Little Lovely Stuff: 365 pictures - Day 356. 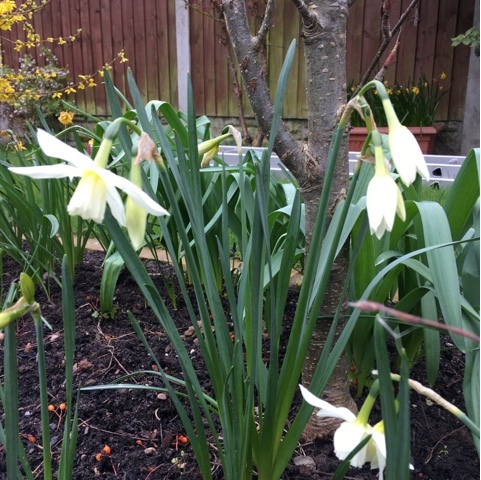 Some pale daffodils in our garden. I feel that these are a bit washed out, but maybe I should think of them as cool and classy.